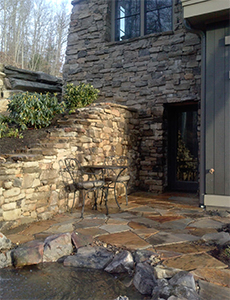 Goals: To create for our client a personal and private outdoor niche off the master bedroom of her newly constructed Jade Mountain home in north Asheville. 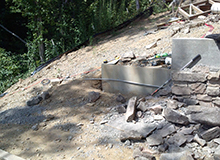 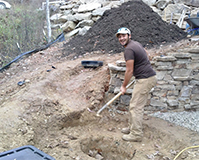 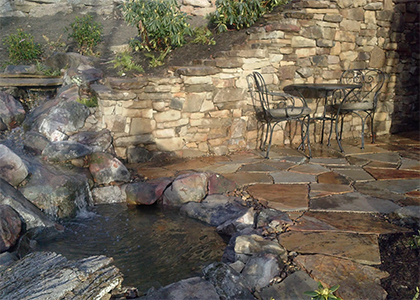 Challenges: Creating a level space for our patio and water feature on a steep mountain slope and a space that looked natural and fitting for its mountainous surroundings. 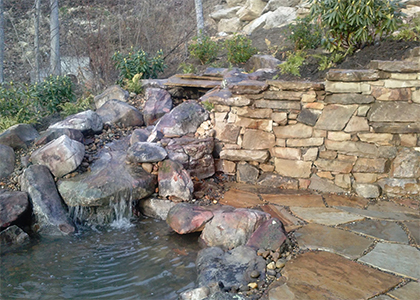 Results: A natural outside space where our client can enjoy the gentle lull of tumbling water and her glorious mountain view.